Recently we looked at Jan Marini Luminate Eye Gel (a great eye product with retinol) and today we’re investigating a sister product from the range: Jan Marini Luminate Face Mask. Jan Marini Skin Research is a US brand I’ve reviewed many times, and it’s generally one where I go on using the products long after the review has been published. Then I weep because the product is finished. It IS on the pricey side, but the products are reliable and effective enough to make it worth it. It’s not a hugely well known brand in the UK, but if you look around you’ll find that the online word about it is very good. 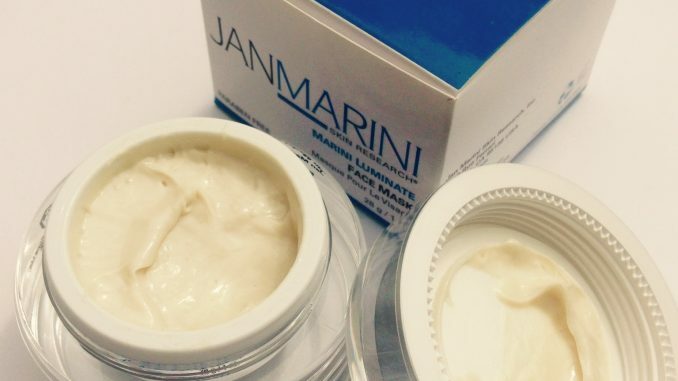 So what is the newly released Jan Marini Luminate Face Mask? Essentially, this is a non-scrubby exfoliating treatment. It leaves your skin feeling lovely and smooth and looking brighter without irritation. Exfoliating like this means that any skincare or makeup you apply afterwards will look and work better. If your skin is dull and uneven then this is the sort of thing that will pep it up. The mask is unscented and the texture of thin porridge. Apply a light, even layer and leave for around ten minutes before washing off. May be used one to three times per week, and a little mild stinging or tingling may occur. This definitely happened for me. The down side to this is that it’s quite addictive and you will want to use it more than the recommended couple of times a week. Stay strong people. Less is more. So although it exfoliates, it’s not harsh enough to leave you looking red. This is because of the presence of green, red and white tea extracts. The packaging warns of a possible light stinging or tingle but I didn’t experience any of that. It leaves your skin noticably smoother but not dried out. The key exfoliating ingredients at work here are Lactic Acid and Mandelic Acid. Both of these are used in skin peel treatments in beauty salons. Think of this as like a mini skin peel you can do at home. So whilst it’s not a cheap product at £75 for 28g, you do use it sparingly in a thin layer. For the price of one salon treatment you would get many, many more. All without leaving the house. 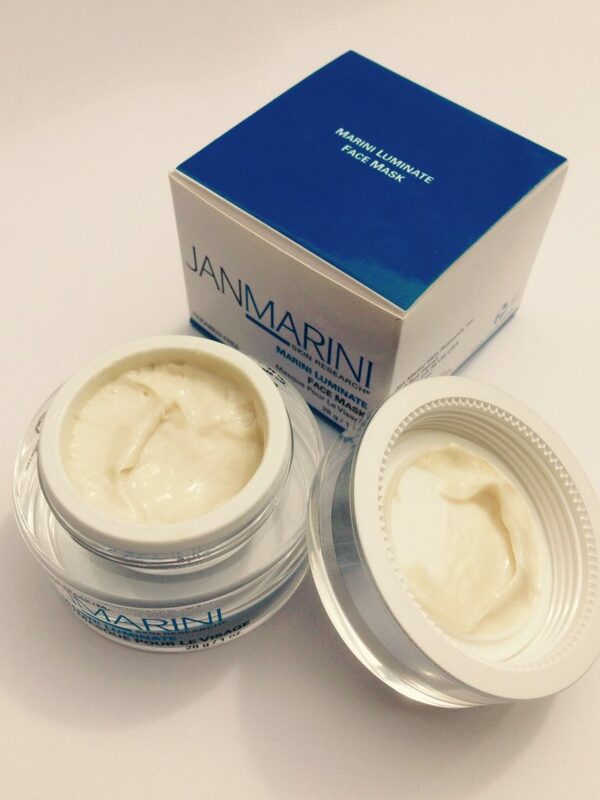 Jan Marini Luminate Face Mask (RRP £75) is available now (currently reduced to £70) from Dermacare Direct.